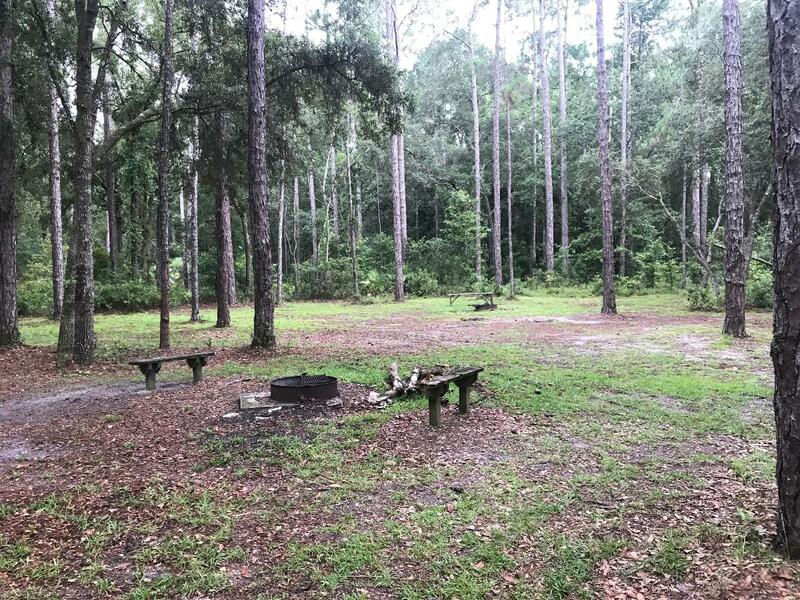 Group campsite gate access is located on the south side of CR 226 (just west of the railroad tracks), approximately 3 miles south of Green Cove Springs, via Hwy. 17. This campsite is not on the east part of Bayard near the river. This campsite has picnic table, benches, fire ring and non potable water. There are no restroom facilities at this campsite, so please go prepared.